One of the most enjoyable tasks involved with forming a corporation or limited liability company is the selection of a name. Some people let their vanity run amok and insist on getting their name in the company name. There are many companies with names such as “Jones and Son Inc.” or “Bob Jones Limited Liability Company”. In truth, one of the most important tasks of selecting a name is to try and identify the product or service your offering in the company name. While it may be nice to see your name in print, all your customers care about is the product or service they are looking for. Keep in mind as well, that the name you select is for the state of formation and does not apply to other states. After selecting a name, you need to see if the name is available in the state you are planning to form your corporation or limited liability company. Each state has its own regulations regarding the naming of a corporation or limited liability company, some allowing names to be similar while others will reject anything close to another name. Some states will allow a name that is close to another with permission from that company. Names must be appropriate and cannot be offensive to any particular group or people. Particularly important is the name cannot be deceptive or misleading. All states have a name availability service allowing you to check before submitting your formation documents. It is wise to check the regulations within the state your forming your corporation or limited liability company and see what you need to do. 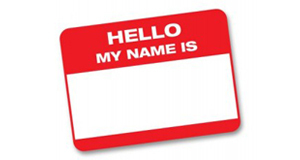 Of course any name you choose will need to be filed with the designation of the type of entity you are forming. Corporations must use the terms, and they may be abbreviated, corporation, inc, incorporated, company, limited, corp, co or ltd. Limited Liability Companies must use the terms, and they may be abbreviated, limited liability company, ltd. liability company, limited liability co., ltd. liability co. limited, l.l.c., llc, or ltd. Of course, each state has its own regulations and need to be checked before filing formation documents. Most of your formation companies will request you submit alternate names with your primary selection and will be able to tell you what designations are available in the state you are forming your entity. By doing your homework and following state guidelines in regards to name selection, you can avoid delays and problems down the line. Most states have guidelines at the state website and helpful if you call with questions.